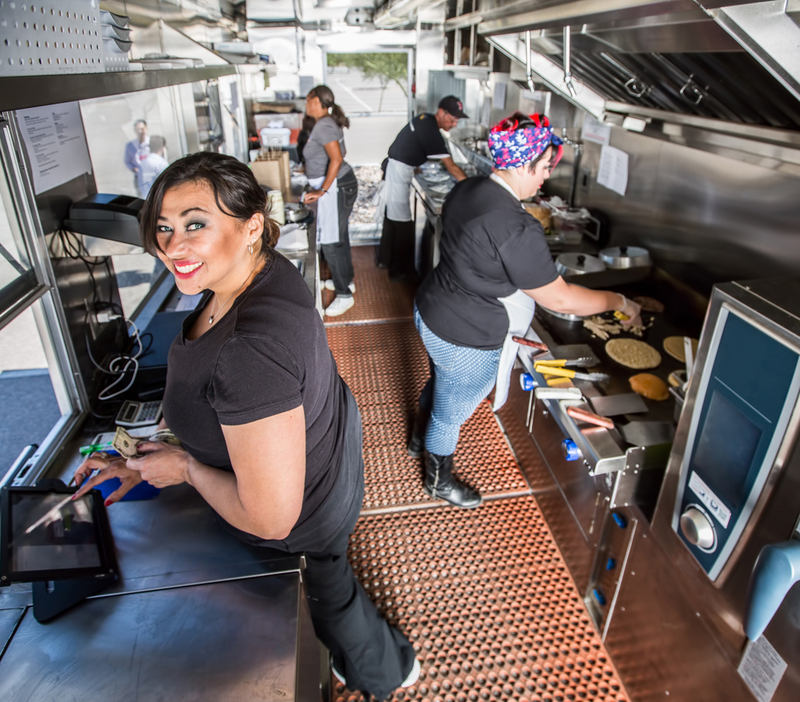 Whether you own a restaurant or mobile food truck, the kitchen design is critical to the success of the business. Stainless steel is the most popular material choice for kitchens, and it’s due to more than just its aesthetic appearance. Below, the custom kitchen designers at Shanghai Mobile Kitchen Solutions in Brooklyn, NY, discuss the benefits of stainless steel. Unlike vinyl surfaces, stainless steel is resistant to stains and odors. This makes it easy to wipe down and sanitize, which is important when running a restaurant or mobile kitchen. While the material can get scratches from heavy use, you can easily remove these with a proper surface cleaner and rag. With simple care, your stainless steel counters and appliances will still look new years after you bought them. When designing a custom kitchen, you need a prep station and counter material that won’t harbor bacteria and viruses. Because stainless steel has a nonporous surface, it can resist the accumulation of germs. This is a crucial feature to have when you are in the food service industry, as it keeps you in line with all health code regulations and ensures your customers get the highest-quality meals. In a kitchen, where you must be careful about where you place hot pans and dishes, stainless steel is an invaluable material. It won’t warp or melt when exposed to heat. It’s also water-resistant, which means it won’t fade or rust when exposed to the elements. If you are planning to open a new eatery or food truck, consult a professional about implementing stainless steel appliances in your kitchen. The team at Shanghai Mobile Kitchen Solutions in Brooklyn, NY, has over 25 years of experience with designing and furnishing custom kitchens. Call (800) 253-4815 to discuss your ideas, or visit their website for more information about their services.